I know what you’re thinking — slow-cooker recipes in the summer? Isn’t the slow cooker meant for fall and winter, when you’re making soups and stews? 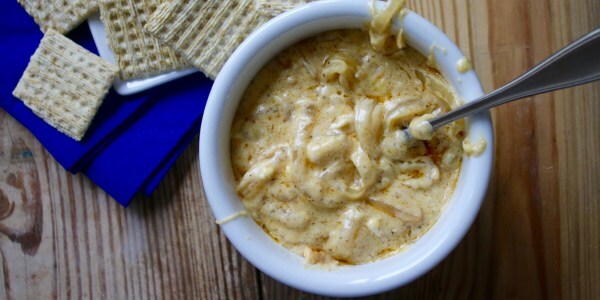 Using your slow cooker in the hot summer months makes perfect sense, however; it allows you to create warm dishes, like cheesy, melted dips, without turning on your oven and heating up your kitchen. And let’s face it — a warm, cheesy dip hits the spot any time of the year. I love the combination of fresh crab and corn; it’s one of my favorite summertime pairings. The red bell pepper adds a nice bit of color as well as some extra sweetness and texture. In this recipe, I’ve called for 8 ounces of crabmeat. I like a ton of crab flavor so I tend to double this amount, but crab can be a little pricey — 8 ounces should do you just fine. By all means, add more if you care to splurge! 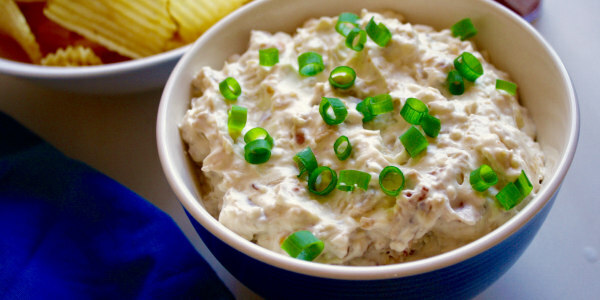 I served this utterly decadent dip at a party recently and guests couldn’t stop eating it and clamoring for the recipe. It’s sweet, rich, and not for the faint of heart, but it’s completely addictive. You’ll need to caramelize the onions before adding them to the slow cooker, an essential step — the onions become tender, nutty, and extra sweet, which makes a great contrast to the spicy Old Bay. It may seem like extra work, but the onions can sit in the pan and caramelize with just an occasional stir while you assemble the rest of the ingredients. In the summer, I love eating all kinds of clams — raw littlenecks on the half shell, steamers, fried whole-belly soft shells. 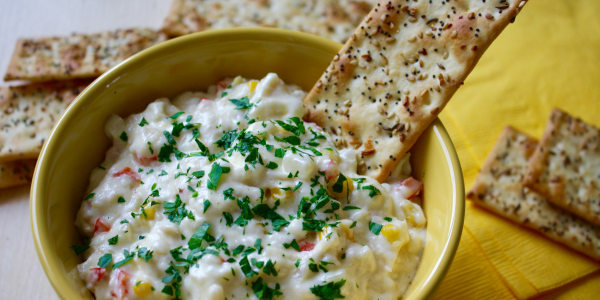 Made with sour cream, cream cheese, bacon, and chopped clams, this dip is almost like a super-thick chowder. I’ve kicked it up with a good dose of Tabasco, but definitely keep some extra handy for those who like a lot of heat. This article was originally published on June 8, 2016.